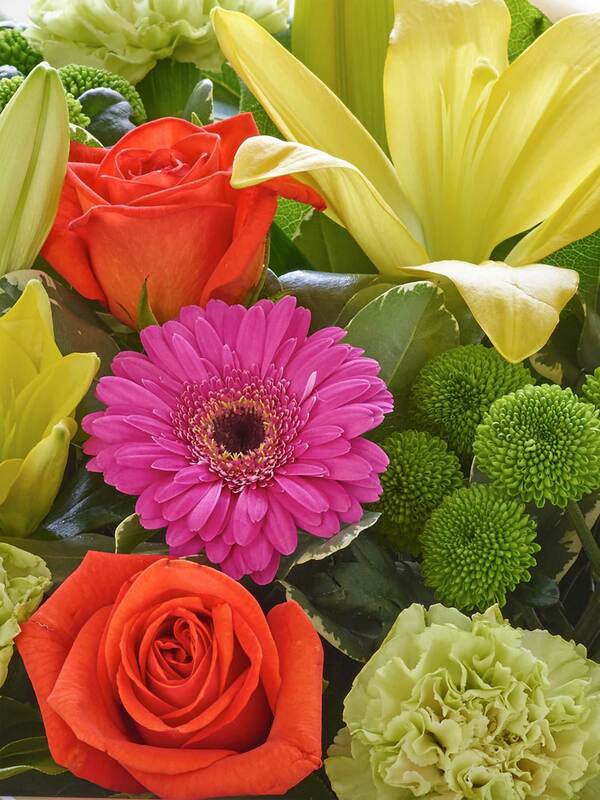 There is a real sense of celebration about this flamboyant Vibrant hand-tied bouquet. With such a rich mix of bright colours and so many favourite flowers, there's certainly plenty to enjoy. 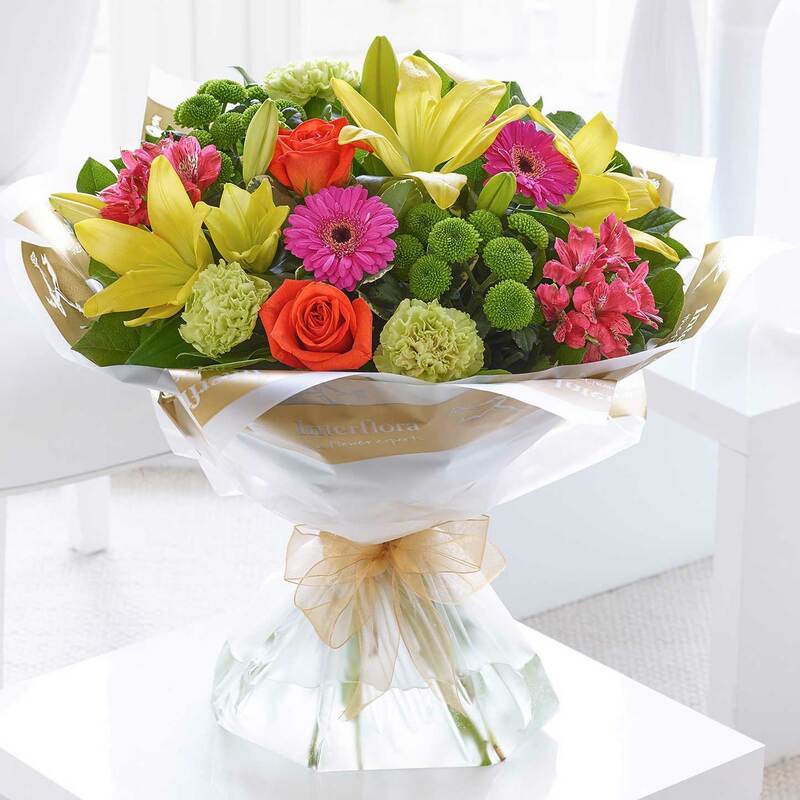 Its got a really tropical feel, making this one of our most eye-catching gifts. Featuring orange large-headed roses, alstroemeria and Asiatic lilies, green carnations, pink spray chrysanthemums, pink germinis and pittosporum, finished with gift wrap and ribbon.